Taylor 2018 Namm exclusive now available! Here we have an 812 12 Fret Grand Concert limited run. 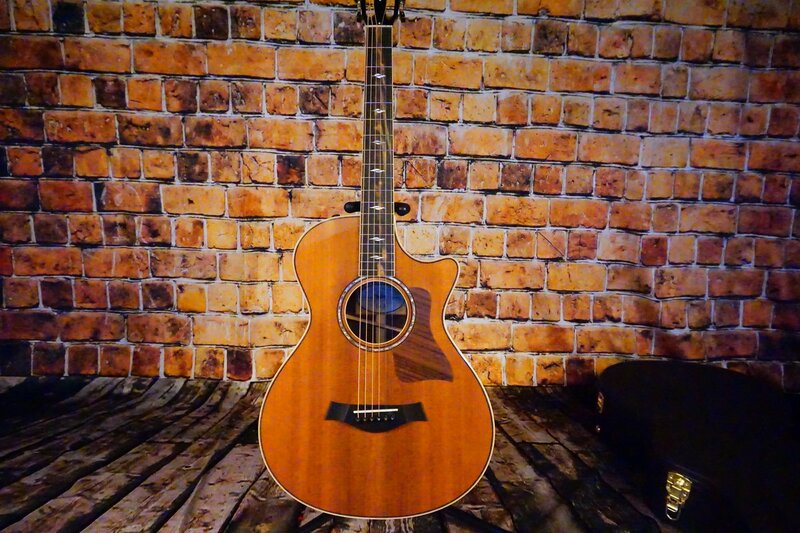 It features Indian rosewood back and sides with a beautiful, solid redwood top. The binding consists of non figured maple and the fingerboard is smokey ebony giving each guitar a slightly different look making each of these pieces truly unique. Advanced performance bracing allow for enhanced strength with an unparalleled resonance. The Taylor slot head features ebony buttons and gives a classic elegance to the instrument.